Fasten your seatbelts and press play on the 70th episode of the Shipping Podcast. It’s all about innovation and the new era we are entering into now. And a little bit about connectivity and broadband at sea & why it’s important to make the crew happy onboard a ship. 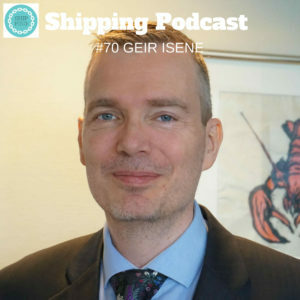 Listen to Geir Isene from the Dualog Innovation Garage talking about how innovation is essential for the maritime industry to become more visible and take command over our own destiny.